YoWorld Forums • View topic - The Walking Dead Sans Rick Grimes. Season 9!! Till we meet again...... will you be a walker??? I'm not sure I am ready for this one...... but I must confront it!! Last edited by ijOjO uK (109723058) on Mon Feb 04, 2019 11:25 pm, edited 3 times in total. LOL my brother asked me about TWD this weekend. He almost threw me in the river for having never watched an episode. Ares (126579776) wrote: LOL my brother asked me about TWD this weekend. He almost threw me in the river for having never watched an episode. i don't blame him lol... you have never watched a single episode?! .... yes that sure would be a zombie you would hate to kill! Oh. My. Dayz!! I am still recovering!! I am so SHOOK right now.... I can't process my feelings. Well, I have rewatched and then watched again this last episode together with the magnificent interview on the Talking Dead and I have finally made peace with it, especially with the blindside that is RICK GRIMES IS NOT DEAD. The first watch was mind blowing and because I was so ready for his demise, every moment was like: is this it? does he became a walker now. 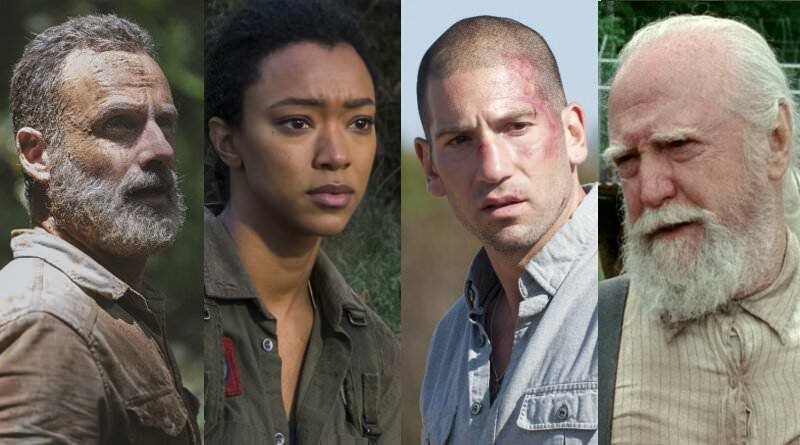 And truth be told when I posted the picture of Hershel, Saskia, Shane in my OP, I had no idea they were actually going to feature in this episode. And so I wailed some more when Hershel came on the screen as I realised this must have been the last scenes he filmed before he passed away RIP Scott Wilson. And what a tribute to both the character and man that scene was. Omggggg it was awesome. And then the time jump forward: JUDITH GRIMES...... I was on my feet clapping and throwing pillows in the air. How Angela K and the writers were able to take me along this tumultuous journey and have me accepting that Rick wont be a part of this journey any longer and be okay with it, is amazing. I am so looking forward to tomorrow and the new dawn that is TWD post Grimes. It is not RIP Rick but rather a See You Later Rick (in the movies that are sure to be mind-blowing also). It is a sign of a great Leader, where he can leave the rest of his tribe knowing that they are all equipped to carry on and survive without him. 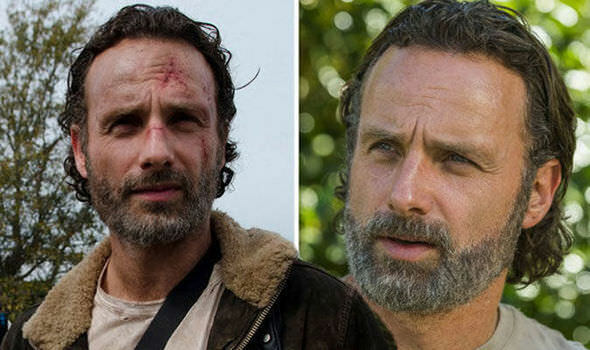 This is what Andrew Lincoln did with his character Rick, and for that I applaud him. Hey Michelle, AMC did well not to have leaks of how Rick was leaving the show, before that episode aired. I changed the title of my thread after a week because I figured everyone would have read or seen what had happened by then. lOl. Hope you still enjoy the season when you get around to watching it. It's definitely very different to what we have been used to. 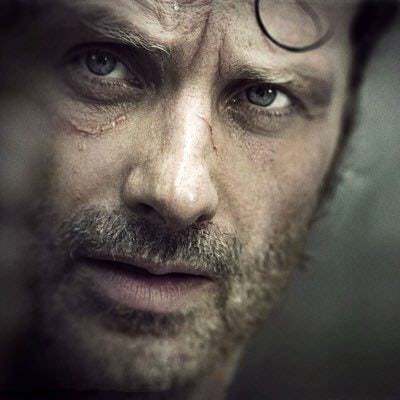 ijOjO uK (109723058) wrote: Hey Michelle, AMC did well not to have leaks of how Rick was leaving the show, before that episode aired. LOl Judy, I cant believe that!!! I am a late bloomer to TWD family but before I started watching it like 3 years ago, it was all over social media, I would hear passengers talking about it on the train... that's what made me think I had to give this show a shot despite my fear and dislike of zombies. For sure!! I am counting down the months for GOT!! I am so far behind. I haven't even seen Carl bite it yet. I am very aware of what happens though. God I love this show. I can't wait for the movies to come out now. I like the comic too. Oh My dayz Abee!! Carl's bite was last season. You have some watching to do - but it's going to be worth it. I promise ya. I had several episodes to watch as I was behind. We only have 1 tv with a dvr & my dad rarely relinquishes it I loved this episode and was very happy that I hadn't checked this thread beforehand. It does have MAJOR spoilers. WOW what an episode -- nothing happened the way I thought, and Hershel was an awesome cameo. I did cry seeing Scott Wilson for the last time. What a dear man. I didn't get a chance to see TTD episodes yet for more insight. Awe Julie.... wasnt it emosh!! I totally agree with you nothing went like it I had imagined it would. Scott Wilson's scenes got me real good. Just knowing that they had filmed that so far in advance and it felt like Rick was able to say a proper goodbye to Hershel before he even knew it. Too Deeeep!! Soooooo what are people thinking about this week's episode? Not sure about the whispering walkers Are they meant to be living people like in the comics or are they walkers that have now upgraded to whispering and talking walkers? Abee (108712228) wrote: I am so far behind. I haven't even seen Carl bite it yet.